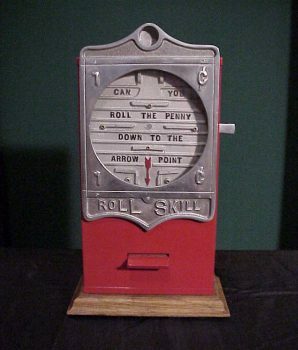 1 Cent “Roll Skill” Countertop Penny Drop Skill Game, Players use the lever on the side of the cabinet to turn the playing field left and right to slide their coin down the ramps and into the slot between the arrows. 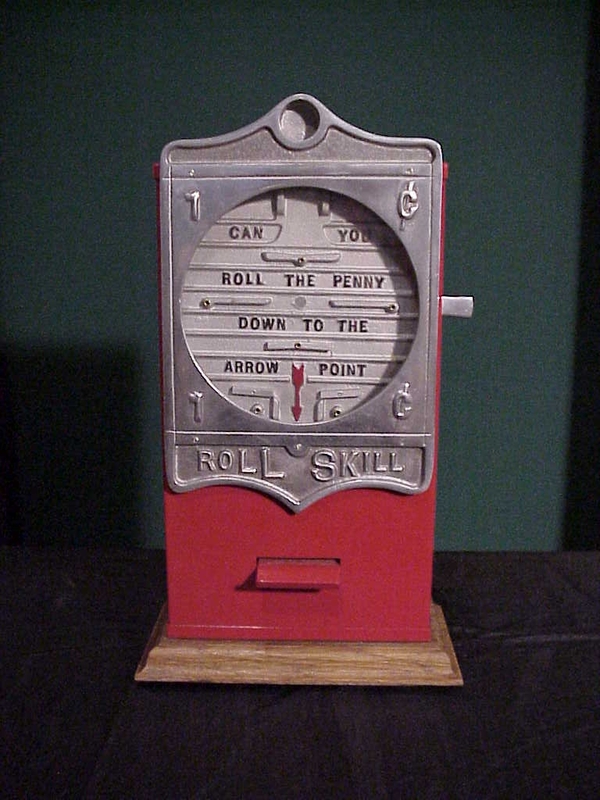 If the player is successful at rolling their penny into the slot, they get their coin back, otherwise the coin drops into the coin bank. Circa 1930s, Excellent Condition.